You can tell it is a sprawling base and now know why it took Buffy so long to find Glenn! 227AHB was located to the left of the runway. A & C Companies were located next to each other center left. 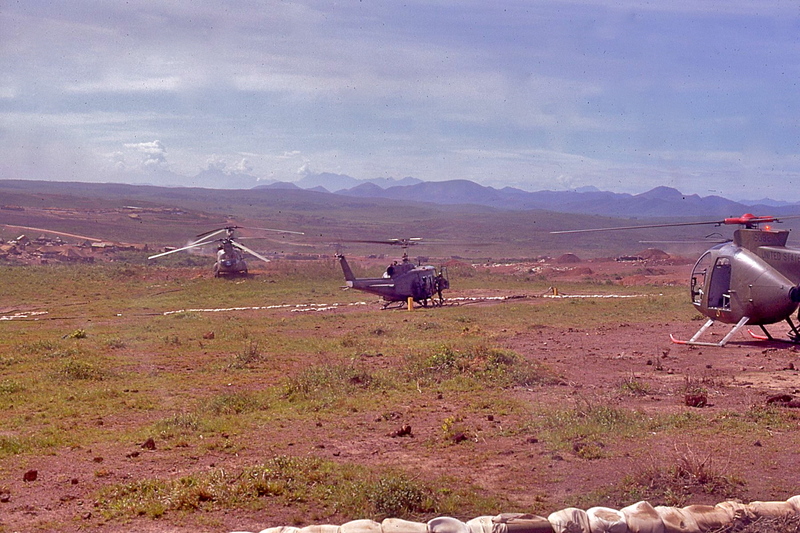 The Flight Line was located above the 227AHB area on both sides of the road. 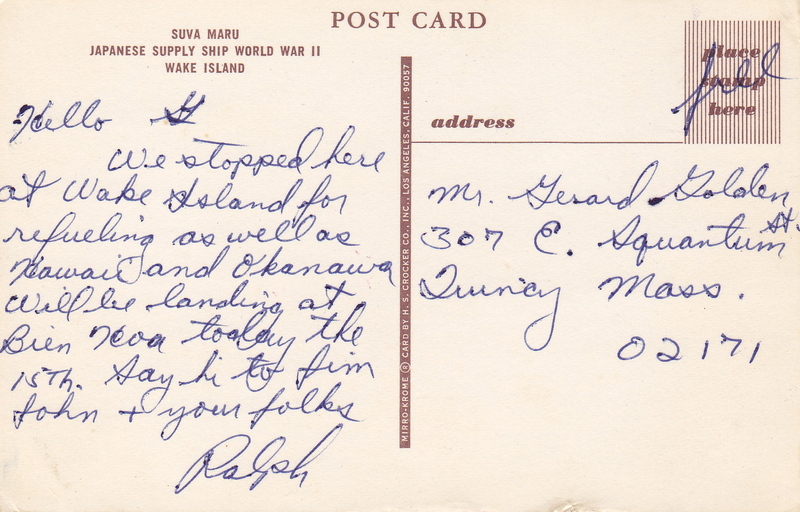 Excerpt from Ralph's letters home! 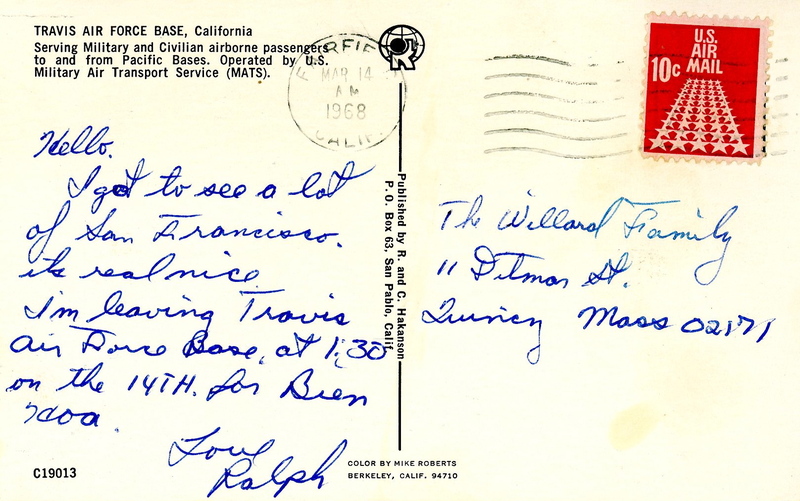 ~15 Mar 68 - "I stayed in San Francisco a couple of nights at a friends house. We left Travis Air Force Base at 4 o'clock in the the morning the 14th it was supposed to leave at 1 o'clock, had to wait around. We got to Honolulu, Hawaii and just stayed to refuel (it was cloudy). 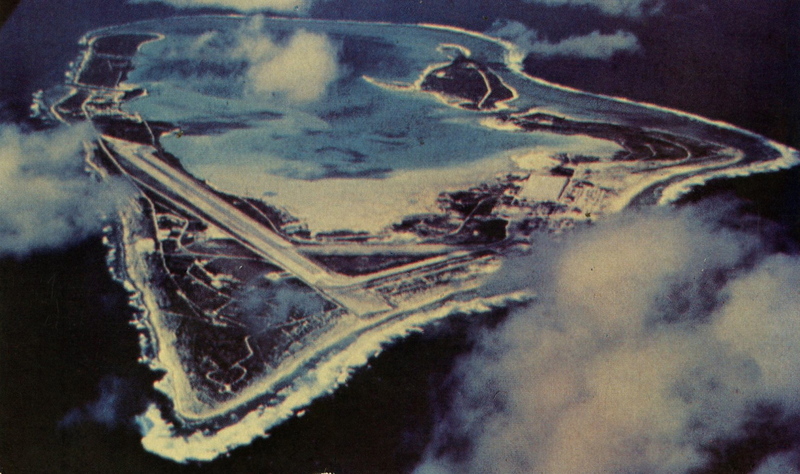 We left there and stopped in at Wake Island for fuel again and we got out and walked around as we did in Hawaii. We took off again and landed at Okinawa for fuel and we got a chance to stretch. Now we are in the air heading for Bien Hoa Vietnam, should get there soon (today is the 15th). I hope I can get a chance to see Fred. ...I saw a few B 52 bombers on the way to Bien Hoa from Okinawa and they are flying much higher. 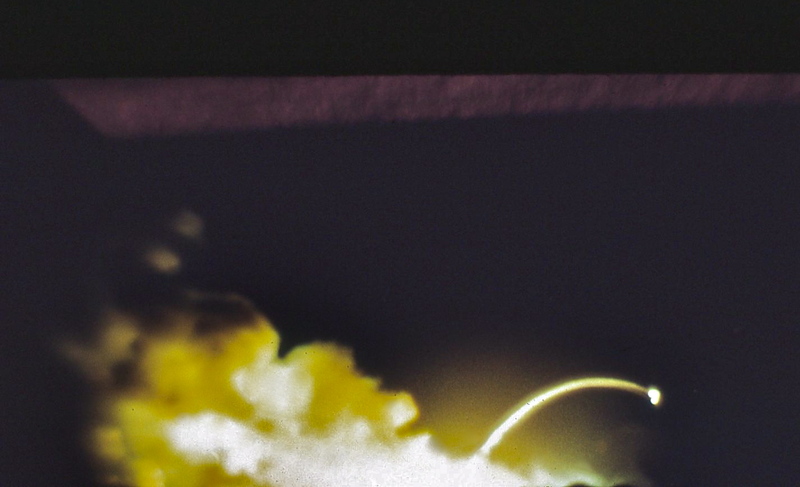 ...It was a good flight." Ralph's Dad was with the 130th Seabee Construction Battalion during World War II. The 130th followed the Central Pacific figurative "road" across the Pacific during World War II ending in Okinawa in 1945. I am sure it never crossed his mind that his son would step onto Okinawa as a stepping stone twenty-three years later on his way to war. Post Cards Sent Home from Flight to Vietnam! Post Card Sent Home to "G" Golden! "Wow! Talk about jogging memories. I had forgotten that Ralph, Mark Young, and I flew over together and the exact dates that we all arrived at Long Binh, Anh Khe and Evans. Ralph, Mark & I sat together in the same row. 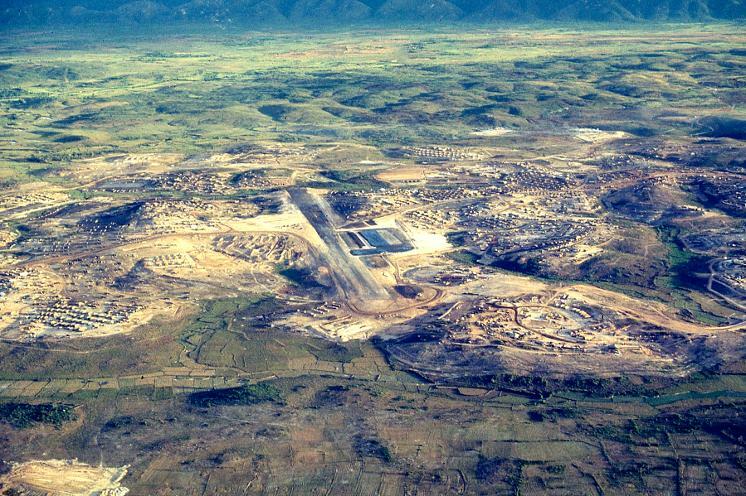 We actually landed at Binh Hoa Airbase outside of Saigon and then were bussed to the 90th Replacement Battalion at Long Binh. We landed at dusk and immediately the dust and the smell overwhelmed us. As we walked to the terminal the guys going home walked past us, I remember thinking how haggard and dirty they looked. TET was still going on and the roof of the terminal was covered with guards and machine guns. 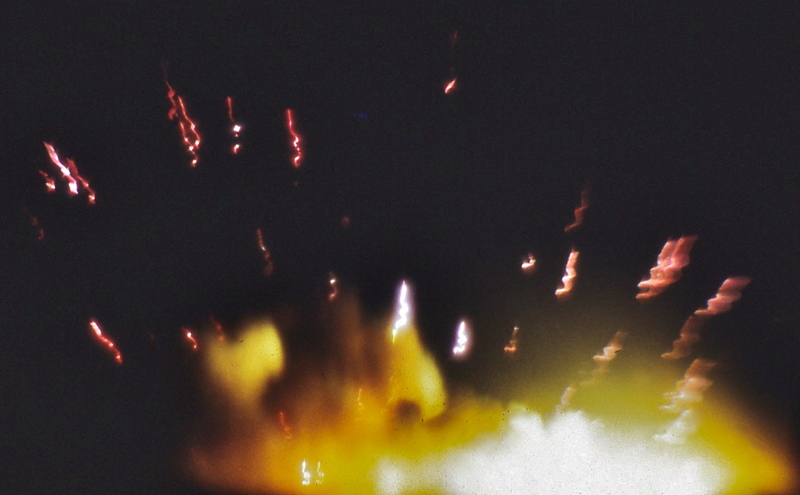 We could hear artillery explosions in the distance. The airliner's engines did not shut down and they took off as soon as they were loaded, lights out. The day before a bus carrying replacements had been ambushed on the way to Long Binh and 35 guys had been killed. We knew this. The MP jeeps with machine guns mounted pulled up and a LT got on board and told us if we heard any small arms fire to lay on the floor of the bus, I told him that I would lay down then if it would help. The bus windows were covered with wire to prevent grenades from being thrown into the bus. As we pulled through the gate I saw hundreds of people in Black Pajamas, we had been trained that the VC wore black pajamas. It shocked me & I thought we were in immediate danger. A second tour guy saw the look on my face, laughed and told me that everybody in VN wore black pajamas." 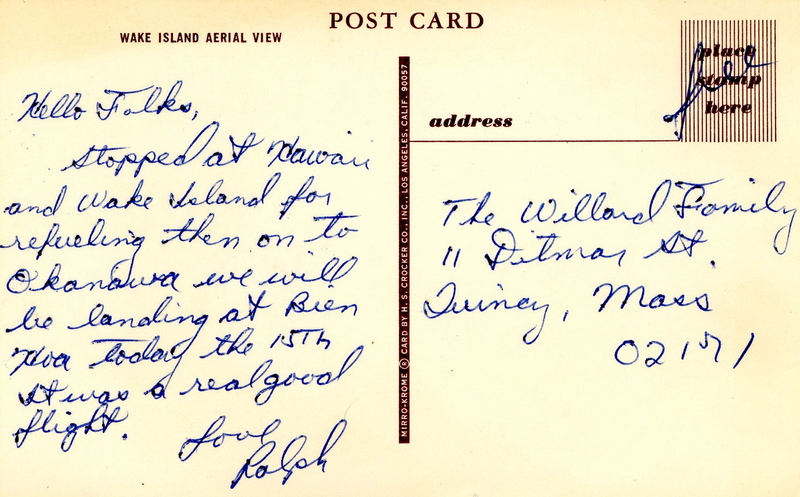 ~19 Mar 68 - "Today we received addresses and our new unit. Myself, Bob Witt and another friend of mine [Mark Young] are going up to the 227th Aviation Battalion which is at the new home of the 1st Cav in Camp Evans. Camp Evans is between a city called Quang Tri and the city of Hue." 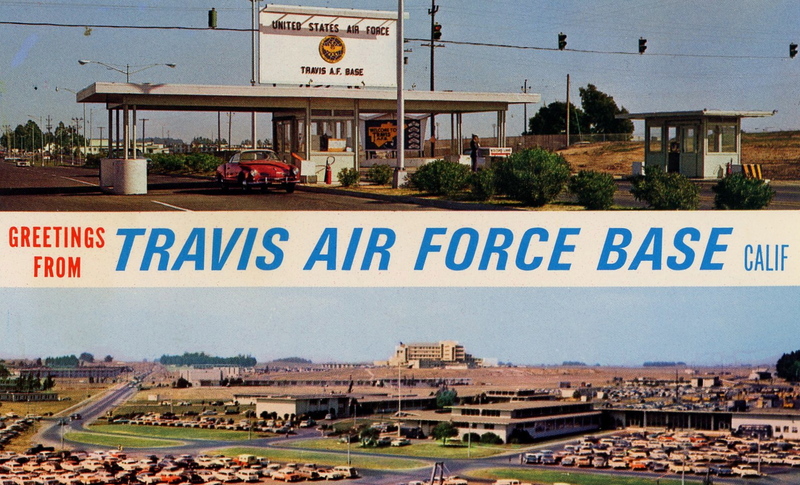 "This is a video honoring the 50th Anniversary formation of A Co., 227th AHB. The direct ancestor of the 1-227th Avn. Reg. The 227th Assault Helicopter Battalion was officially formed, February 13, 1963." In an email conversation with Kenn Christenson he wrote "I think your website is a great tribute to him (Ralph). I'm glad you're spreading the word about these great guys - that's the main reason why I wanted to tell these stories. I'd be more than happy to have you link to the video - it is really the property of all who served with the 227thAHB and the 1-227th." 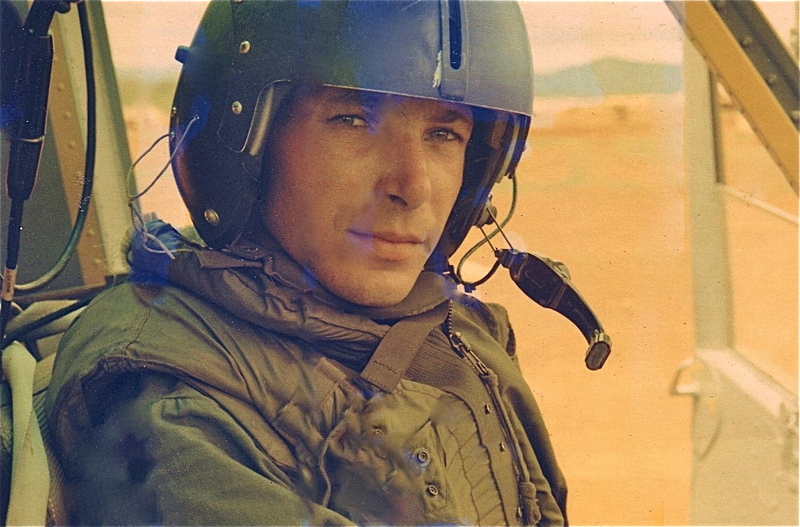 *At 29:02 into the film you will see a C/227AHB Door Gunner with the American Flag painted on his helmet and a "Ghostrider" patch displayed on his uniform! ~21 Mar 68 - "Well things aren't too bad over here. Tomorrow or Saturday we're going up to Camp Evans. Its real hot over here and I've got a little sun burn but it doesn't bother me much. We just got through with some extra ground training and some firing of our weapons. We all got brand new M-16's and they have been modified. I used to think they weren't very good rifles but these new ones are beautiful, they're real accurate and they can really shoot out a lot of bullets on automatic. ...wish I had gotten a moving picture camera because I could of had some beautiful pictures of the training we just went through. We had some artillery demonstrations and a couple of choppers buzzed us. As officers we get treated pretty good. Much better than the Enlisted men, we get rides wherever we go and we are always at the top of the line." 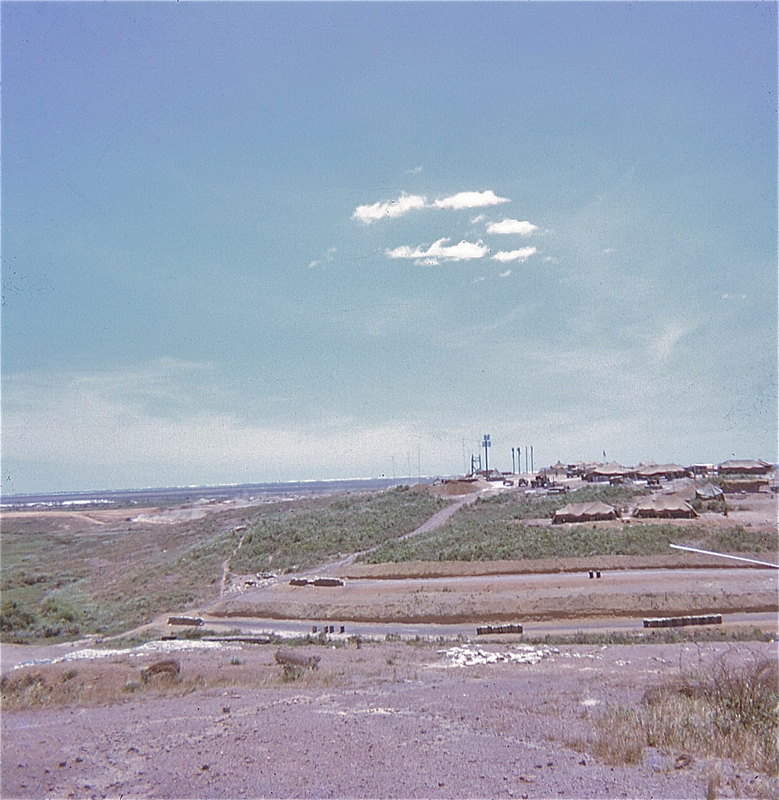 ~25 Mar 68 - "Well I finally arrived at my unit yesterday the 24th. We left An Khe by plane and landed at Phu Bai and then caught another plane to Camp Evans. I am assigned to the 1st Platoon of C Company 227th Aviation Battalion. When we got here, Bob Witt and another friend [Mark Young] went to A Company of the same battalion. ...It's not a bad place except that it is new and there's a lot of work to do. ...Today was a pretty cloudy day + drizzly day. The only thing good is that it was a bit cooler, I'm starting to get a pretty good tan now." 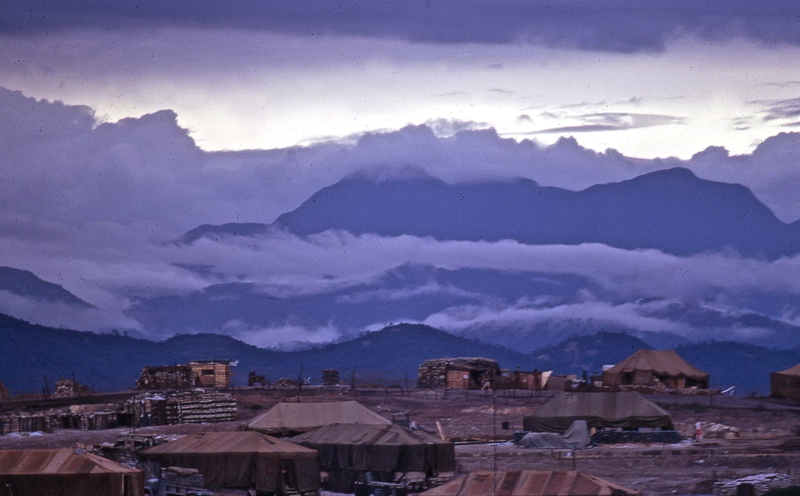 "When I flew home early March of 69 I left from Camh Ranh Bay. When I got on the plane it was strange to see that it was not completely full. 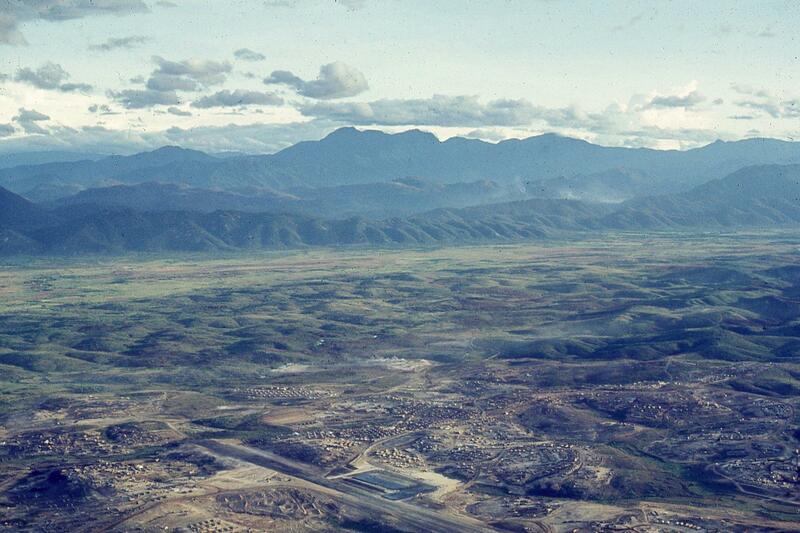 I sat in the middle seat of a row as I had done on the trip into VN with Ralph & Mark. The two seats on either side of me stayed empty. As we taxied out I decided that I was not going to sit next to those two empty seats. The Stewardess told me to sit down, several of the guys and other Stews looked at me and I pointed to the empty seats and shook my head. She nodded in understanding and an old 1st Sgt. patted the seat next to him and said "Sit here son". I always thought that when the plane took off that there would be cheers, etc. It was dead silent. After a few minutes the Capt. announced that we had left VN and were over the South China Sea, there was an audible sigh throughout the airplane. Most of us just slept all the way back." 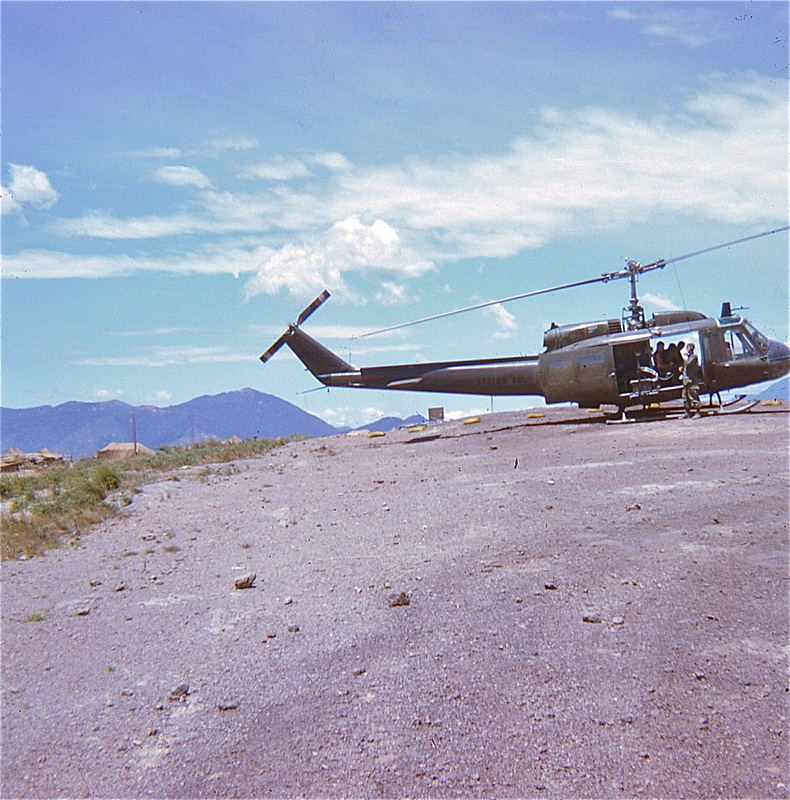 ~29 Mar 68 - "Today we didn't fly so I walked around and met about 4 other guys who were in the same platoon I was with back at Rucker. ...The country around here is really pretty. The beaches on the coast are beautiful and the water is crystal clear. Then you go inland about 10 miles and there's nothing but mountains. Camp Evans is between the Ocean and the mountains on the flat land." One of the "other possible guys" at Camp Evans who was in the same platoon as Ralph back at Rucker was Tim Wilson. 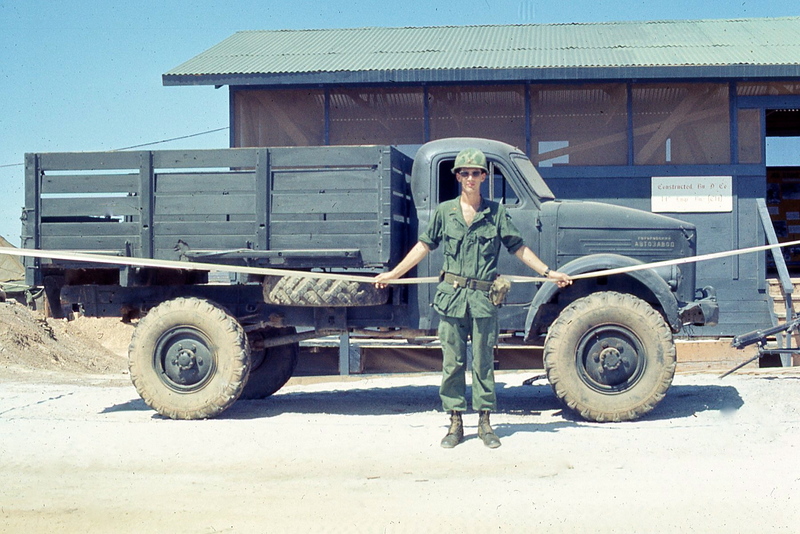 He was assigned to the 11th GS, 1st Cavalry Division (Airmobile). 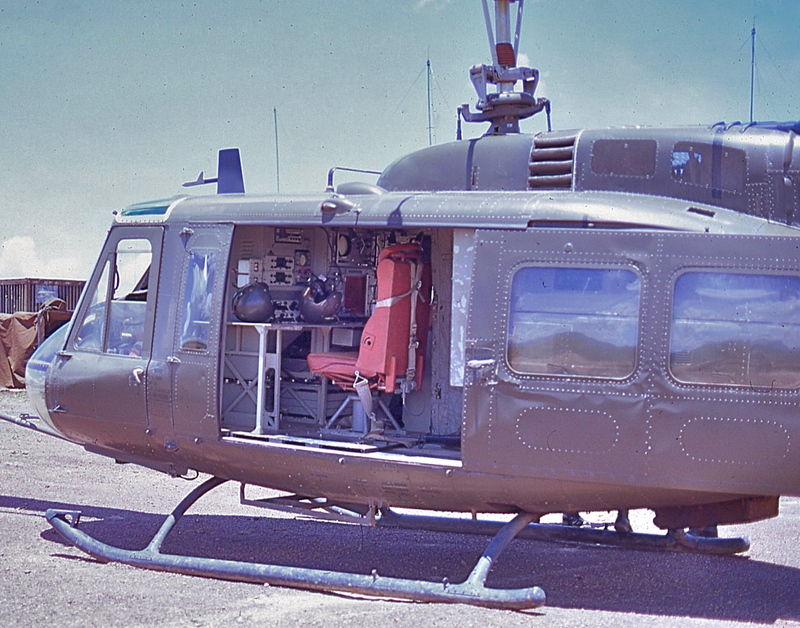 Tim flew LOH-6A (Light Observation Helicopters) for some of his time in Vietnam but mostly flew Huey "spy" ships. ~2 June 68 - "It seems that we have rain now every afternoon. We are supposed to be getting some storms in the near future that will bring up to five inches an hour." ~13 June 68 - "Today is a real hot day as it has been lately. It might be in the 100's easily. It's supposed to get much hotter later in June and July." 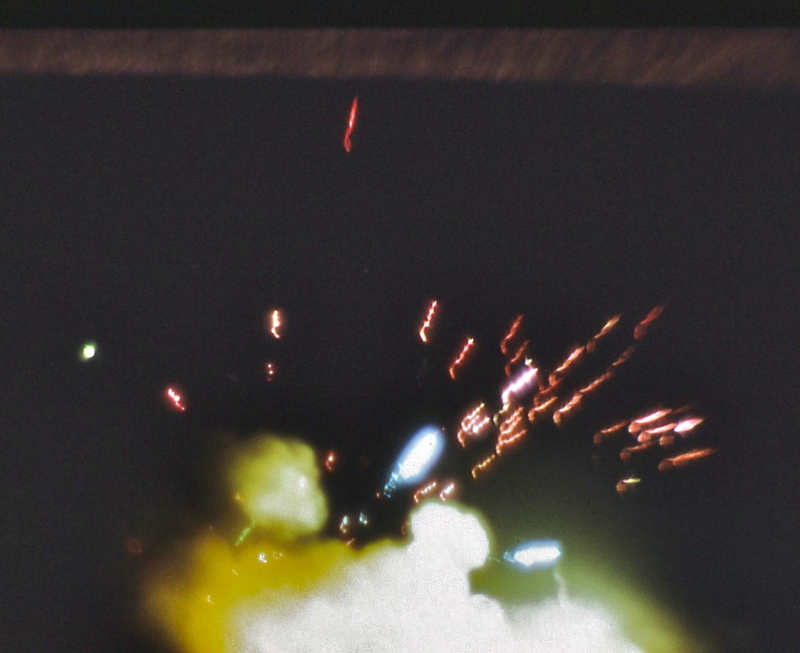 ~5 July 68 - "Last night we had an unplanned celebration of the 4TH. 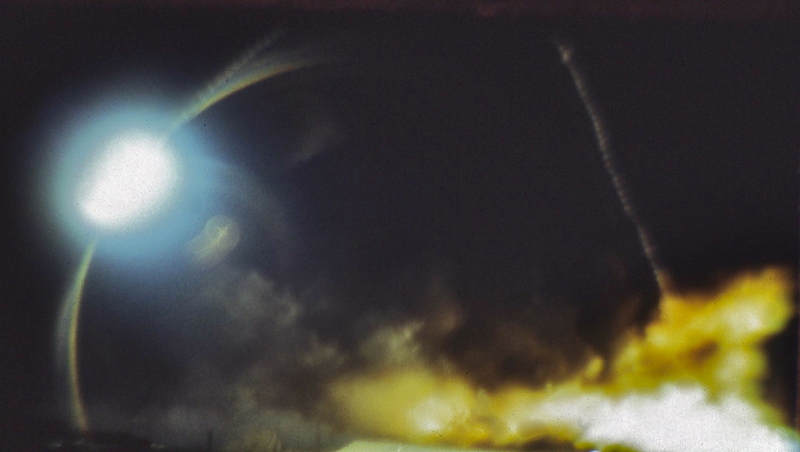 One of the guards in a bunker on the perimeter decided to shoot a flare up to celebrate the 4TH and when he did he started a chain reaction around the camp. 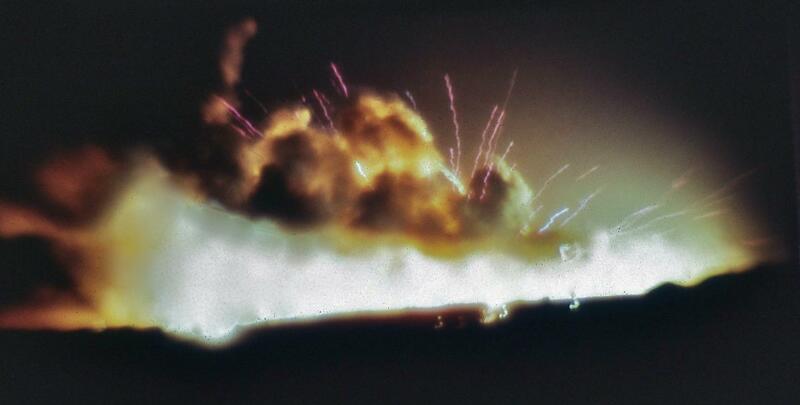 All the bunkers were shooting up flares for the fourth before long. We were really lit up last night. I wonder what the N.V.A. thought." ~16 July 68 - "The weather here is still pretty hot and I guess it will stay that way for a while. Its been getting very windy lately and that makes it tough to fly." Ralph's Photos of Camp Evans! Buck Anderson talks about the Ammo Dump Explosion on Company "Street"! The following is a running account from Ralph! 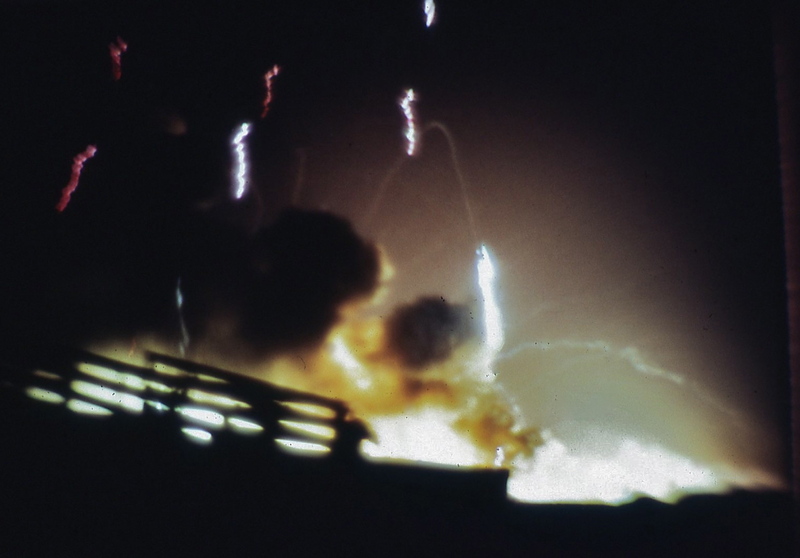 ~20 May 68 - "We had a little excitement last night.The ammo dump blew up and set off explosions that lasted from seven at night until four in the morning. Our tent caught fire while we were in the bunker and we all lost everything we had. I lost all my film, my camera, clothes and all my money over $250.00.The only things I have left is 1 pair of pants, a shirt and 1 pair of boots. Today we drew a bit more from supply and soon we will be issued everything back. I'm going to put in a lost articles list and hope they will give me back my money + the value of the camera and electric shaver. We'll I guess I won't be sending home any film after all. I'll never be able to replace some of that film. In my company there is only one helicopter left that is flyable. The others will take months to repair. The camp was very lucky only a few people were wounded and not real bad. ...In my company about 10 tents burnt down." 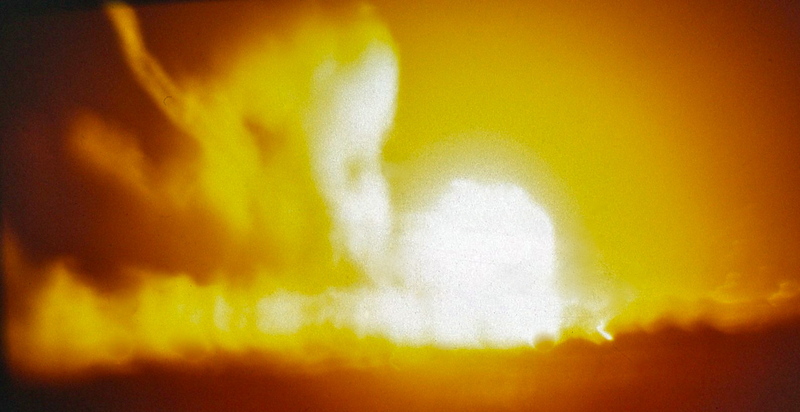 Tim told me a NVA rocket hit the 10,000 gallon fuel storage bladders. The Khe Sahn and A Shau Valley operations had just been completed and the captured ammunition, rockets, etc. were stored next to the fuel bladders. A 1st Cav General was replaced because of the decision to put the captured explosives next to the fuel bladders. 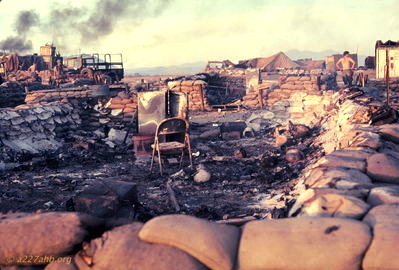 ~22 May 68 - "Right now I am living in my bunker with a friend of mine because there is no where else to stay until we get the company cleaned up, it's a real mess. All but two of our helicopters were destroyed and so now we are going to get six more brand new ones. ...I even lost my rifle and pistol so now I have an AK-47 rifle (captured). 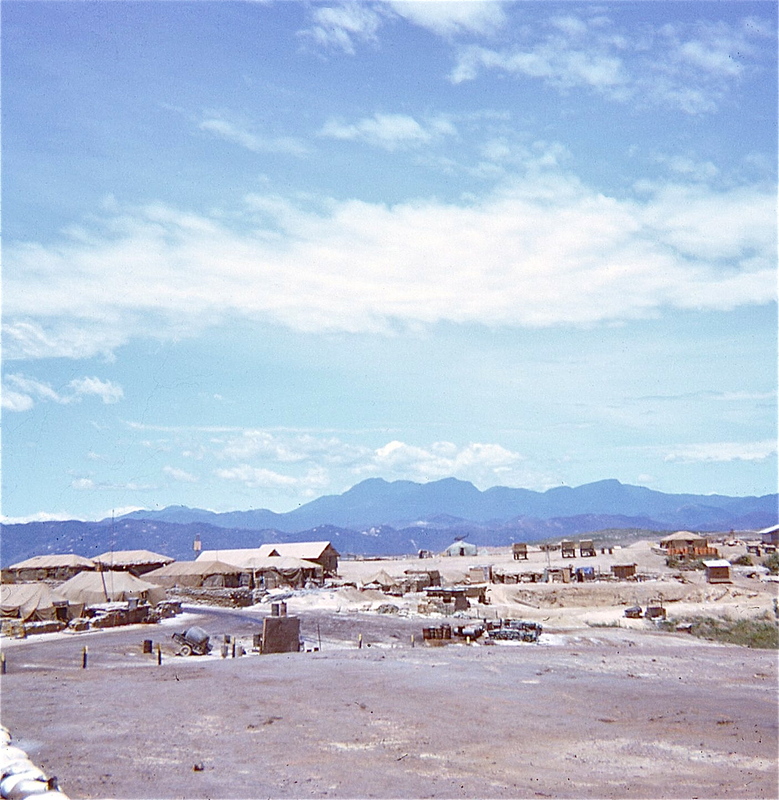 ...The films I had were real nice and some pictures I had of Khe Sanh and the A Shau. Well thats the breaks! ...One of the biggest losses in our tent was the refrigerator. I don't think we will ever get over that." Could that be a refrigerator in the middle of the burned down tent? If so, maybe this was Ralph's tent! 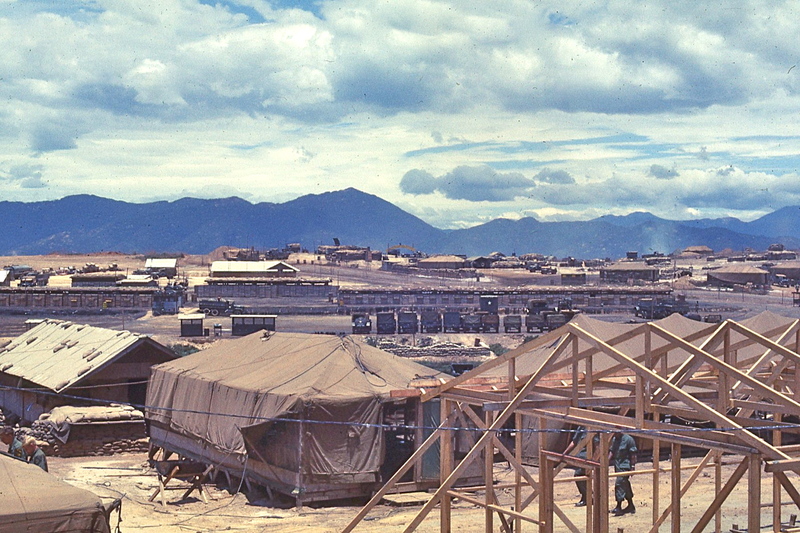 ~25 May 68 - "Right now we are still very busy trying to rebuild our tents and put in floors and build cabinets, etc. It wouldn't be so bad but all the material to build with we have to look for. I think I've been all over this base looking for wood. Today we got 6 new ships from Camh Ranh Bay so we should be flying soon." 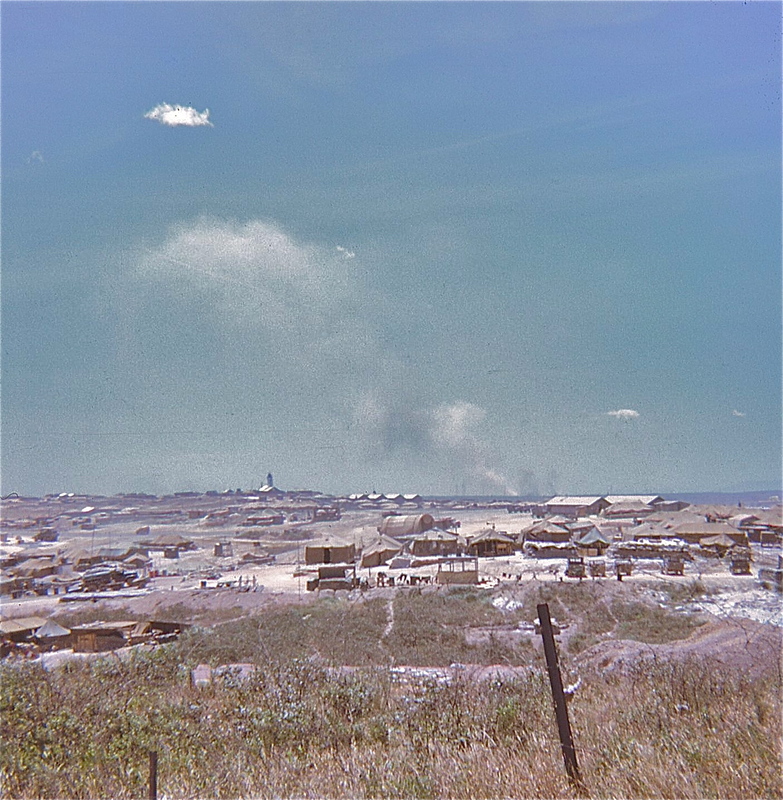 ~28 May 68 - "Well today was another bad day. We had just about finished up on our new tent floor when it started to rain like I have never seen before. After a few minutes the floor was almost submerged in water so we all got out into the knee deep mud and started to dig a drain. We finished the drain just in time and it saved the tent and floor. The winds that came long with the rain were just like a hurricane and it almost blew the tent down." ...still got to build some shelves for my area in the tent and we also have to fill up sandbags for the outside for the new tent." 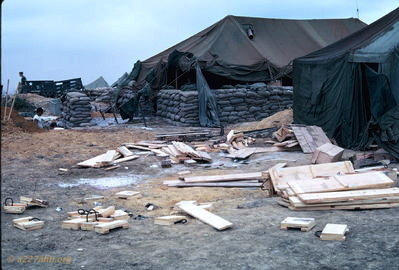 ~2 June 68 - "We still have a lot of work to do around the tent so on the days we don't fly we are busy building drains for the water when it rains and filling sandbags to go around the tent." 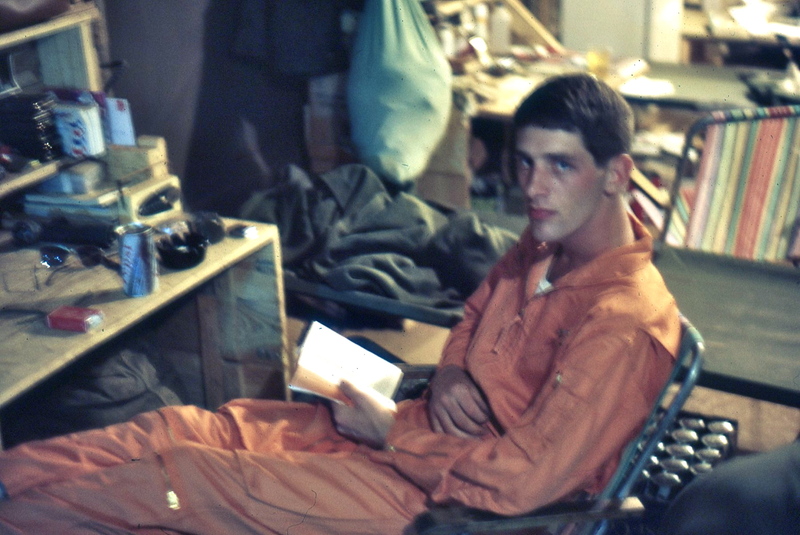 ~4 June 68 - "Theres not much new going on yet, still working to re sandbag the tent in our spare time." 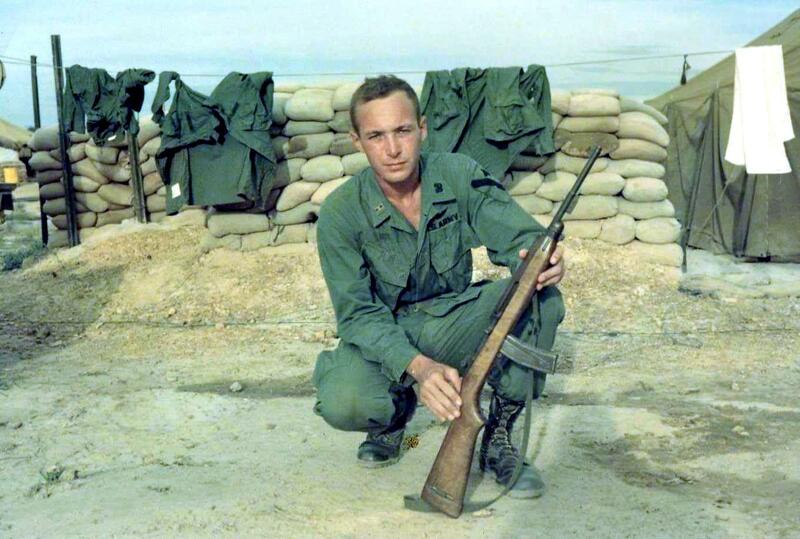 ~11 June 68 - "In the next package see if you can send me some kind of sewing kit because I have to sew all the patches on my fatigues because these are all new ones." ~22 June 68 - "I lost a total of $402.00 worth of things in the fire and I'm only getting $196.00 back. None of the other people have done any better, we didn't even expect that much." ~5 July 68 - "Well yesterday I received the ...sewing kit you sent. ...will come in handy when I have to sew my patches back on." 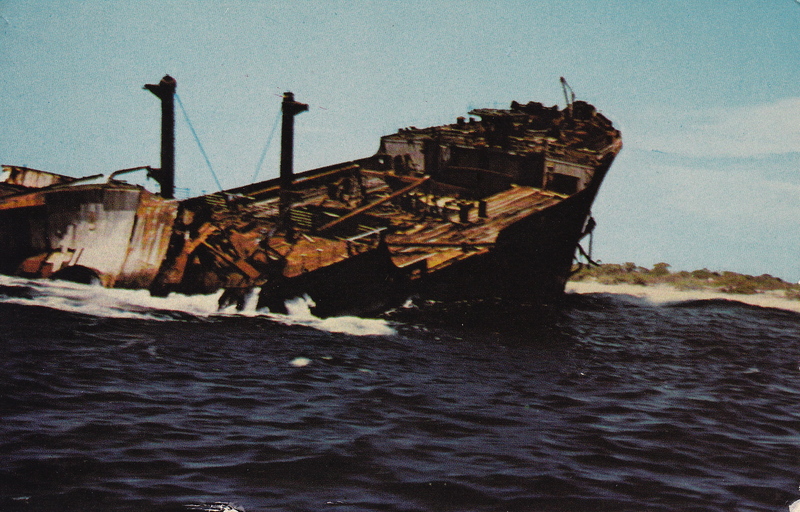 ~10 July 68 - "I went over to the tent in charge of claims and complained, so I got $15.00 more." Living the 1st Cav Life! 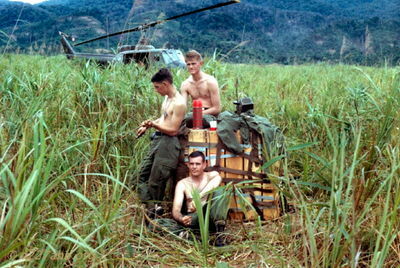 ~17 March 68 - "We arrived in Bien Hoa the 15TH and we were shipped to Long Binh (where Fred is) for processing. ...couldn't get to see Fred. 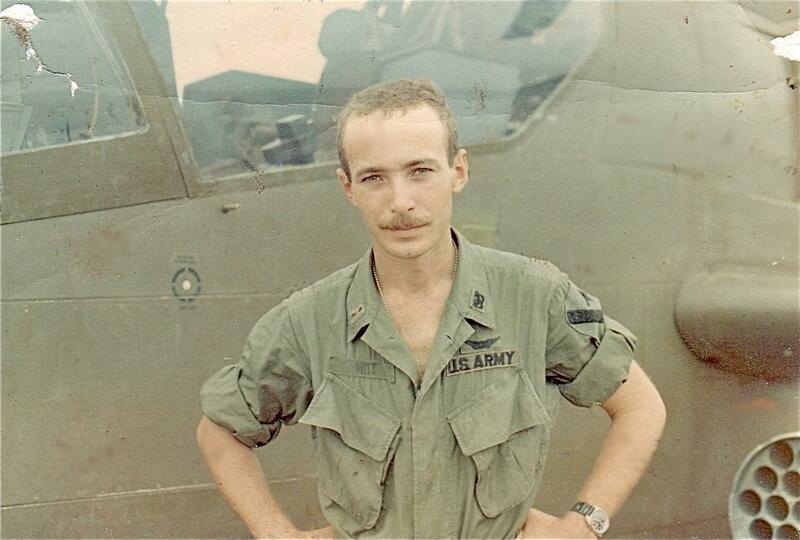 ...Yesterday the 16TH most of us received our assignments and myself and some of my friends were sent to the 1st Air Cavalry Division at An Khe. Right now we are at the replacement station in An Khe and we are awaiting further assignment to a specific unit of the 1st Cavalry. The past few years An Khe has been the home base of the 1st Cavalry but lately they have been moving north to support the marines and pretty soon there won't be any of the 1st cavalry here at An Khe so by next week I'll be moving again, this time further north. 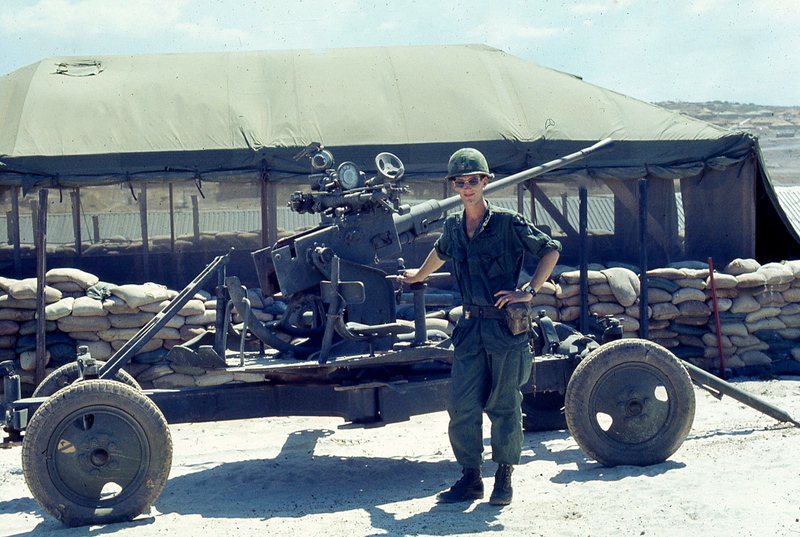 I think I'll like being with the 1st Cavalry because of all the divisions in Vietnam they take the best care of you and they are the best organized." 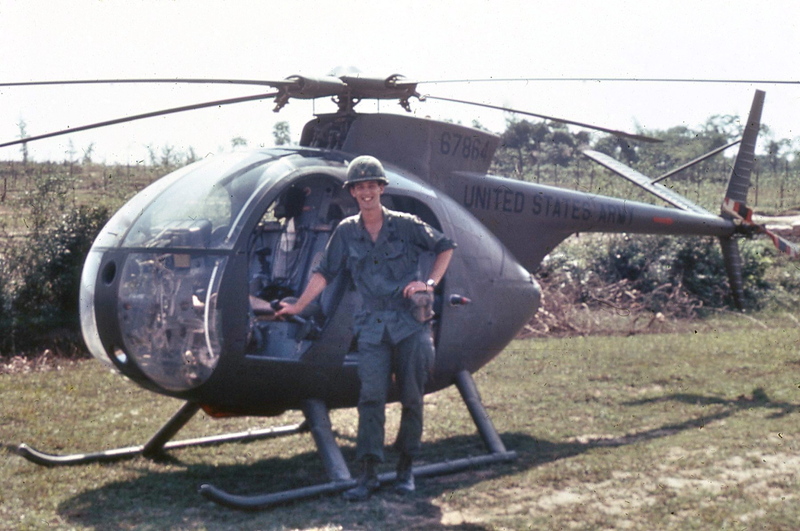 ~3 April 68 - "The First Air Cav is the only Airmobile Division in the world. The 1st Cav can move their whole Division in a very short time, that's why we are all over the place. If the Army had more divisions like this the war would probably be over by now. When you write again tell me if you read about the 1st Cav at all. Usually the marines get all the publicity." Just ask Tim Wilson about how quick the 1st Cav can move. He left Camp Evans in November of 1968 to meet his wife in Hawaii for one week on R&R. "...when I returned to RVN the entire 1st Cav Div had been moved from Evans in I Corp to Phouc Vinh down in III Corp, north of Saigon. There were four of us pilots on R&R that week and the Cav had left 4 aircraft at Evans for us to fly down south to Phouc Vinh on our return...........3 LOH-6A's and one fixed wing Beaver. When we got to Evans, we couldn't believe everything was gone!!! No one told us until we landed there." ~16 April 68 - "P.S. Look for clippings in the paper about the 1st Cav. and save them." 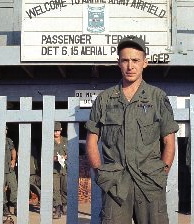 ~22 June 68 - "I had a mission yesterday which was to fly some majors to Da Nang which we did and I had a chance to look around. The people down there live great compared to us.They have clubs and movies and USO shows and PX's and just about everything you'd find in a city. We don't have anything, but thats the Cav. for you. We are supposed to be mobile so we have to live that way."